Fluvial geomorphology provides many insights of value to the stream ecologist: the generation and maintenance of channel types, the dynamic nature of many stream features, and perhaps most of all, how the diversity of riverine landscapes occurs and is maintained. In a broad synthesis of riverine landscape diversity, Ward et al. 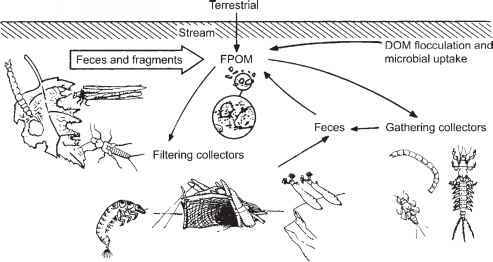 (2002) argue for a landscape ecology of rivers in which spatial patterns and ecological processes interact across a range of scales. Channel features, habitat units, surface and subsurface zones, floodplains, and riparian corridors form a complex, shifting mosaic, in which the diversity of the physical template provides the setting in which biologically diverse communities flourish. Features of the riverine landscape are both highly predictable in their occurrence and highly dynamic, driven by the fluvial processes that govern river behavior. Through its influence on habitat heterogeneity and temporal succession, natural disturbance creates the opportunity for greater biodiversity than is found under more uniform conditions (Chapter 5). From the perspective of the biota, the environment is spatially heterogeneous, with patches differing in resource quality, permanence, and connectivity across a range of scales, indicating the influence of spatial pattern on ecological processes (Weins 2002). This foreshadows how regulation of river flow and homogenization of habitat, for example, by dams and channelization, causes declines in taxon richness, and argues for management actions that view the entire river basin as an integrated unit.